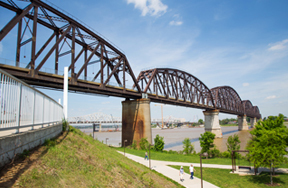 The recreational and sightseeing attractions that can be found in and around Louisville are popular among residents and visitors near and far. 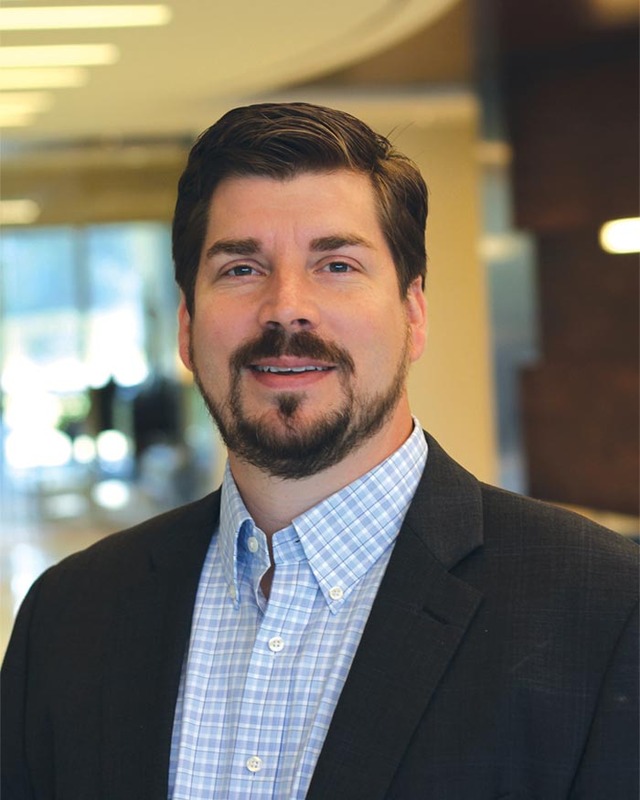 No matter what your idea of fun might be, whether its screaming at the top of your lungs on a roller coaster, dancing with hundreds of other people at Forecastle, taking a bike ride across the Big Four Bridge, or watching a play at the Kentucky Center, Kentuckiana has something that will attract you. Open seasonally, this amusement park is a popular area attraction for families and thrill seekers of all ages. The park offers a variety of roller coasters, thrill rides, kid friendly attractions, and several attractions in its large water park, Hurricane Bay. Located about an hour from Louisville off I-64, Holiday World and Splashin' Safari is a combination theme park and water park. From top-ranked coasters and one of the world's largest water parks, park goers can enjoy all kinds of rides, live entertainment, games, and attractions all summer long. Stretching over the Ohio River this attraction was once a railroad bridge serving for the "Big Four Railroad" (Cleveland, Cincinnati, Chicago, and St. Louis). 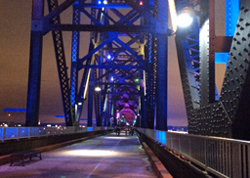 It was recently renovated and converted into a pedestrian and cyclist pathway that opened in 2014. Indiana and Kentucky residents can now cross each other's state borders on foot or bike 24 hours a day, 7 days a week. This underground adventure zone is truly a one-of-a-kind attraction! This 100-acre limestone cavern offers visitors a chance to experience the history and science of the underground world with tram-guided tours, the world's only fully underground zip line course and aerial ropes course, and even an underground bike park. Plus, each year during the holidays the public is invited to drive their own vehicles through the Mega Cavern to ride through a spectacular underground holiday light show. One of the region's most popular family attractions, the Louisville Zoo exhibits more than 1,500 animals on 134 acres of natural settings. Zoo-goers journey through representations of zoogeographical areas and habitats to see the world's wildlife in action. With its own share of lions, tigers, and bears the Zoo also features award-winning exhibits—Islands, Gorilla Forest and Glacier Run—a petting zoo, a train, a carousel, education programs, and more. Various events are also held throughout the year at the Louisville Zoo including the annual "World's Largest Halloween Party" in October. A family-fun water park in Southern Indiana that offers summer fun for all ages with a number of attractions including a wave pool and thrilling water slides. Operating year-round, passengers aboard a beautifully restored 1940's vintage dining car where they are served a delicious meal and taken on a scenic excursion through the stunning Kentucky countryside. 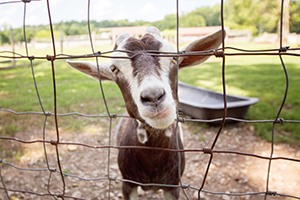 Henry's Ark is not just your ordinary petting zoo. Tucked away in the city of Prospect, KY Henry's Ark features a variety of domestic and exotic animals including camels, peacocks, zebras, sheep, buffalo and more. This visitor-supported attraction is free to the public but be sure to bring a small donation so families can continue to enjoy this unique place. 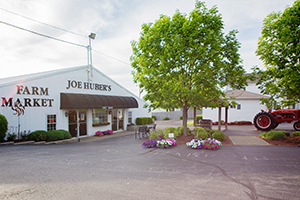 In an atmosphere that reminds you to appreciate family, homemade products, and the beauty of the country, Joe Huber's Family Farm makes for a fun and wholesome day trip. Visitors can take a tractor ride through the pumpkin and strawberry fields, apple orchard and more, explore the winery, visit the market, and have a true country-style meal at the restaurant. With over 400 miles explored, Mammoth Cave is the world's largest known cave system. Visitors to Mammoth Cave can enjoy cave tours, surface hikes, canoeing on the Green River, horseback riding, camping and more. Located in Southern Indiana, Marengo Cave is a U.S. National Landmark offering an adventure for any level cave explorer. From easy walking tours through huge rooms decorated with stalagmites and stalactites, to wet and muddy excursions through undeveloped, natural cave seeing only with the lights you carry. Canoeing is also available on the Blue River. Opened in 1951, the Georgetown Drive-In features two screens, and a well-maintained kids playground. The drive-in is open on weekends during April through October. Premier dining and entertainment destination located in the heart of historic downtown Louisville. Live thoroughbred racing in the spring and fall for the most authentic Louisville experience you can get. Resort with hotel, slot machines, table games, restaurants, shows, concerts and more! Outdoor theater that hosts a variety of performing arts and cultural programs. 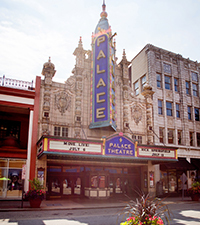 Theater in downtown Louisville offers live entertainment, concerts, musicals, movies, shows, and more. 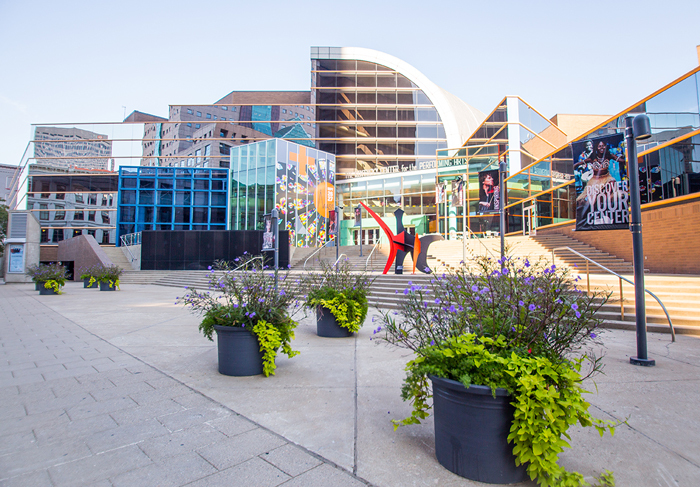 The largest meeting space in downtown Louisville used for a variety of conventions, trade shows, gatherings, cultural activities, and more. Large multi-use facility for a variety of conventions, sports, performances, cultural activities, and more. Multi-sensory astronomy presentations in a dome with a 360 degree projected view of the night sky. Special events, laser shows, and children's programs held throughout the year. 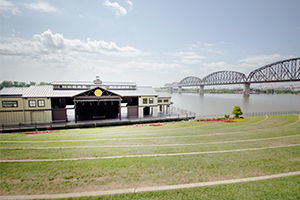 Outdoor Amphitheater on the Ohio River that hosts a variety of special events, festivals, performances, concerts, and more. Along the Ohio River this elevated event space is commonly used for festivals and other downtown events. Venue of many large events throughout the years including music and cultural festivals, public concerts, fundraisers, and more. 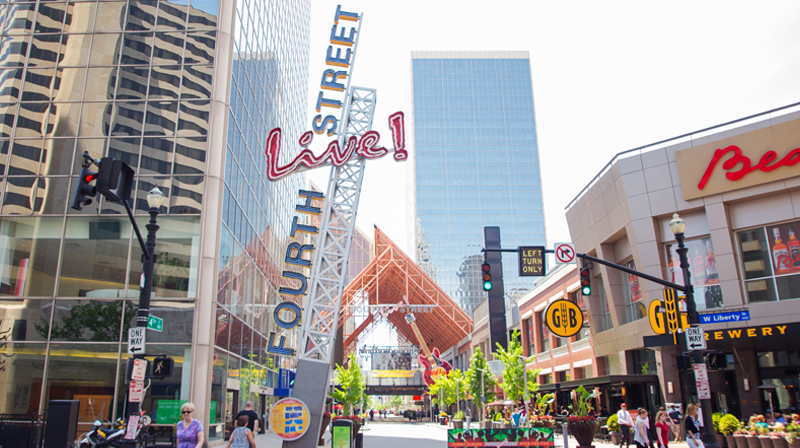 Louisville and the surrounding area has a rich performing arts scene with various outlets for any music, dance, and drama-enthusiast. From national professional productions to children's education and workshops, here are a few highlights of the community's performing arts organizations, theaters, studios and schools. Patrons may buy tickets to shows in person or over the phone. An annual festival held on the Belvedere celebrating the music and honoring the spirit of the Beatles. Every October in Iroquois Park a walking trail is lined with 5,000 professionally carved pumpkins and are illuminated at night for an art show that is sure to get you in the Halloween Spirit. Held in Old Louisville during the first full weekend of October, this annual art fair has become a regional favorite. Over 750 artists from North America showcase a wide variety of fine arts and crafts. One of the country’s most anticipated summer festivals held on the Waterfront showcasing music, art, and activism. The Kentucky Derby Festival is one of the most anticipated events across the region, attracting over 1.5 residents and tourists every year. Held at various sites throughout Louisville, the festival takes place during the two weeks leading up to the Kentucky Derby and includes over 70 special events including Thunder Over Louisville, Great Steamboat Race, the Pegasus Parade, and more. As one of the region’s largest international festivals, Worldfest incorporates international food, music, dance, culture, and education, bringing a unique experience to Louisville. Held at the Belvedere for 3 to 4 days every year, Worldfest showcases Louisville’s diversity giving visitors a chance to explore and celebrate the many faces and cultures of our own city. This festival that has become a Jeffersontown tradition. Centered in the small-town ambiance of Gaslight Square the 8-day festival includes a variety of attractions including a golf scramble, parade, balloon glow, car show, and more. For 11 days at the end of summer local and regional residents head to the Kentucky State Fair. The fair showcases the state's finest products, organizations, agriculture livestock, and more. The promotes education and fun with special exhibits, concerts, shows, and carnival rides. Throughout the month of October, the Louisville Zoo invites families for a magical Halloween experience. Extravagant decorations and costumed characters transform the Zoo, bringing your favorite storybook scenes to life. Various activities are held each night including trick-or-treating for the kids. Held at different sites each year, the Building Industry Association of Greater Louisville's "Homearama" gives visitors the opportunity to tour hundreds of homes showcasing the unique and professional talents of builders, interior designers, craftspeople and landscape architects. During June and August the non-profit, professional theater company, Kentucky Shakespeare, offers free performances at the amphitheater in Old Louisville's Central Park. Every year tens of thousands of people attend the annual Home, Garden and Remodeling Show at the Kentucky Expo Center. The show features the latest products and services from hundreds of vendors and thousands of ideas that are designed to improve you home. During the holiday season, the Louisville Mega Cavern is transformed into the world's only underground holiday light show. Visitors are able to drive their own vehicles through the cavern to experience a one-of-a-kind holiday spectacular.